While delivering a package, Texas delivery man notices doormat reading 'Please hide packages from husband' - and makes an effort to comply. An Amazon delivery man found himself in an uncomfortable situation over the weekend. When he arrived at the O’Shea household’s doorstep in Haslet, Texas to deliver a package, his eyes noticed the doormat, which included the inscription: "Please hide packages from my husband." The obedient delivery man retreated from his initial intention to put the package on the doorstep, and instead found a hiding place, behind a chair on the front porch. 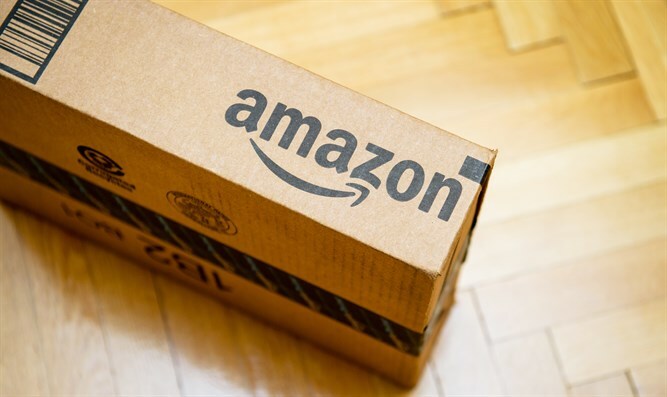 The incident was captured by a security camera, and Vanessa O'Shea shared it to Facebook.”Shoutout to #amazon for always being loyal and hiding my packages!” she wrote. She told local media that she had bought the rug as a joke, relating that she and her husband had been sitting down to eat dinner when her husband received a text message informing that a package had been delivered. She said that she and her husband had a good laugh over the extra effort, and hope to get in touch with the delivery man. The video has since gone viral, with over eight million views on Facebook.